Dr. Schenk's 3D House of Satellites: PLUTO! 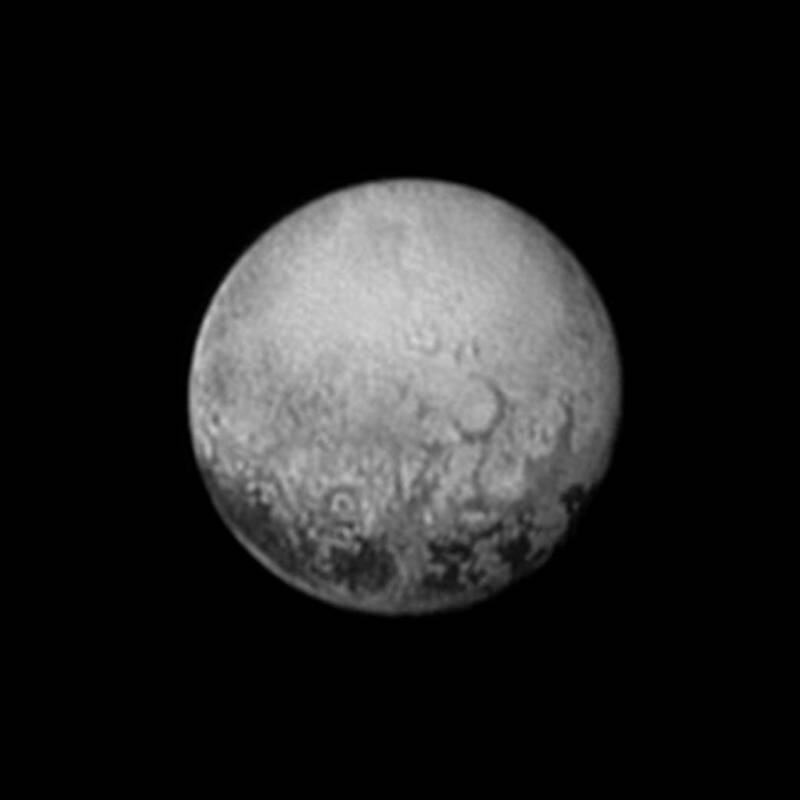 Pluto minus 2 days. 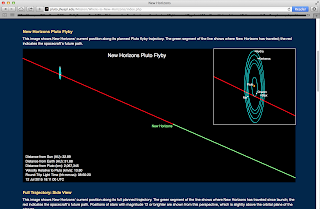 It has been an amazing approach to Pluto over the past two weeks, as those of you following the mission on the web have shared. This will be very short as I am quite busy, but for me it is mind boggling how strange Pluto seems, as you can see for yourself in the above press released image. I can almost imagine myself standing on the bridge of the Enterprise approaching an alien world for the first time. "Fascinating!" So much of the surface seems unfamiliar. Speculation among scientists and web followers has been abundant and I won't indulge myself here, but rather celebrate how insanely wondrous of celestial neighborhood is. Everywhere we look in the Solar neighborhood we see something different, and very often, something we did not expect. Clearly Pluto fits the later, and even Ceres, though it looks like an older cratered world, has enough surprises to keep us working for years to come (odd-shaped mountains, odd-shaped craters, bright spots). Even the Saturn system has new surprises (soon to be revealed). All tell us important clues to how the Solar System came to be and how it has evolved. Perhaps the most important benefit has been philosophical. The past 50 years of Space Exploration have been a great experience to live through, and offer an opportunity to look up from our troubled times here on Earth and see something greater. Enjoy Pluto . . . ! 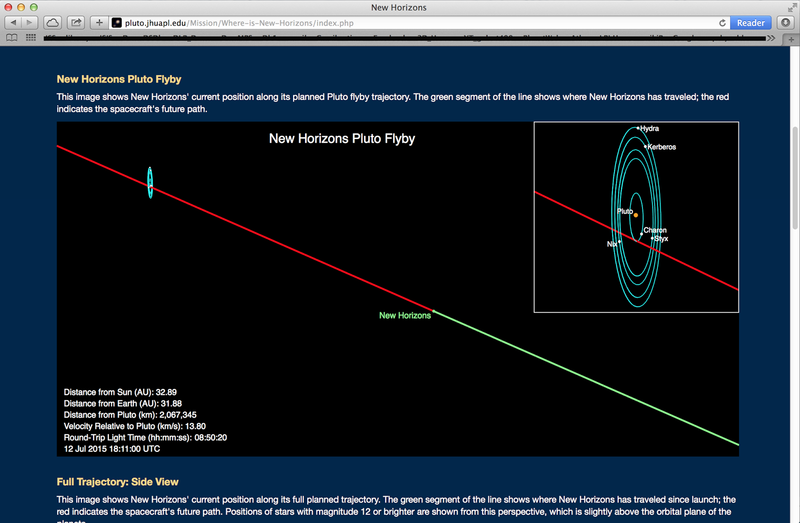 New Horizons trajectory as of July 12 midday. Nothing else gives a sense of how close we are to target. Below is an image of Triton taken on approach by Voyager 2 in August 1989 at a pixel scale of ~4 kilometers. 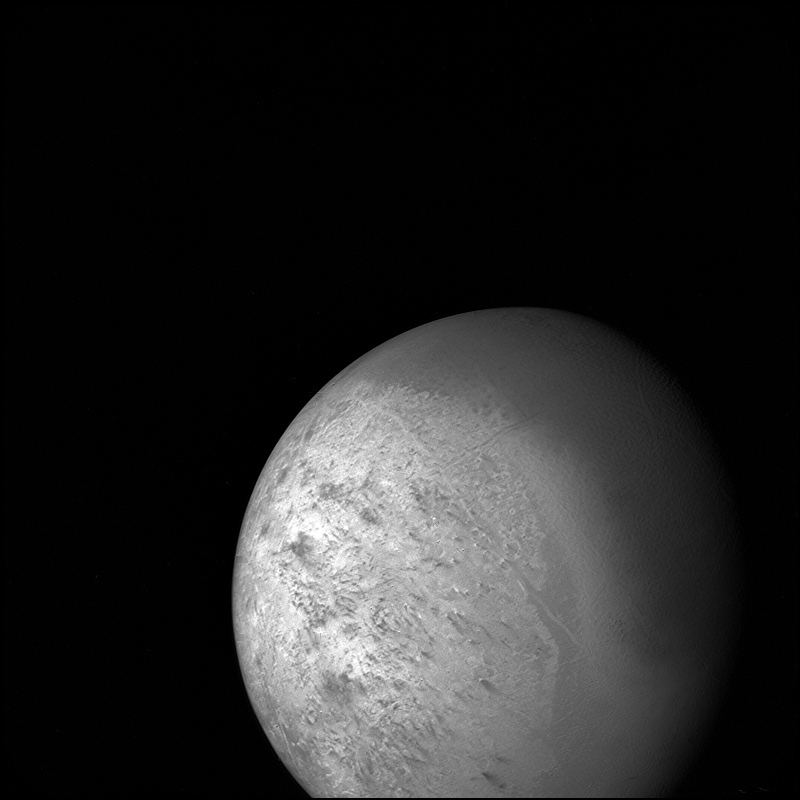 This was the first Voyager image to more clearly show recognizable basic elements of Tritonian geology (though much still remains mysterious to this day), before it's closer pass on August 25 of that year. We may peel away some of Pluto's deeper mysteries in a similar way.